There is no way around it. Hawaii is an isolated destination to reach if you are not lucky enough to live on one of the islands. It is, after all, the most remote island chain in the world. The Hawaiian Islands are nearly 2,400 miles from California, nearly 3,900 miles from Japan and if you live in New York City, you are in for a nearly 5,000-mile flight. Then there is the time zone change. From the U.S. Central Time Zone, Hawaii is either a four or five-hour time difference. (Hawaii doesn’t observe daylight saving time.) After the long flight over, my inner body clock has me up around 2 to 3 a.m. in the Hawaiian Time Zone for the first few days. So, yes, the time zone changes and distance are challenging. 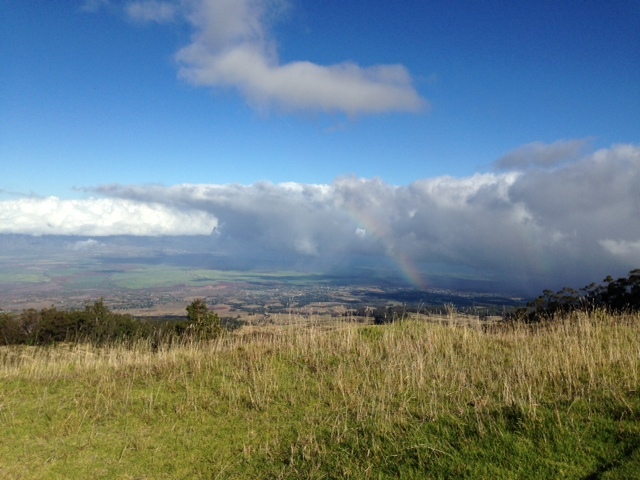 But then you might find yourself looking at this view in Upcountry Maui, complete with a rainbow in the distance. 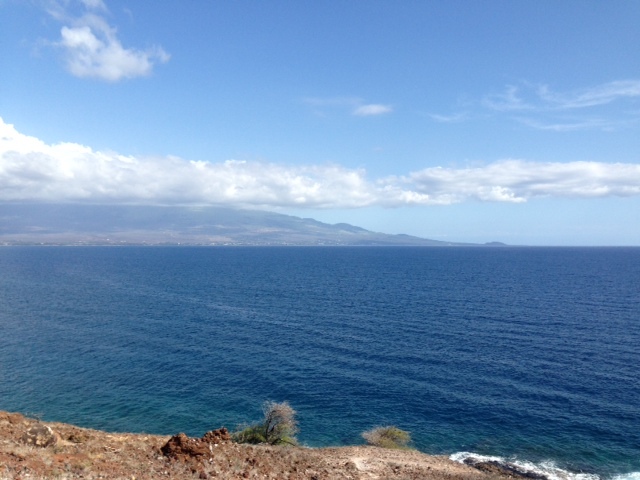 Or, there is this view from the main road to West Maui. If you are visiting from a location with long, cold, snowy winters, the colors are a feast for your eyes. And before you know it, your stay is over and you find yourself heading back to the airport for the return flight home, which is often an overnight flight if you live in the United States. Is the long flight worth it? Absolutely. 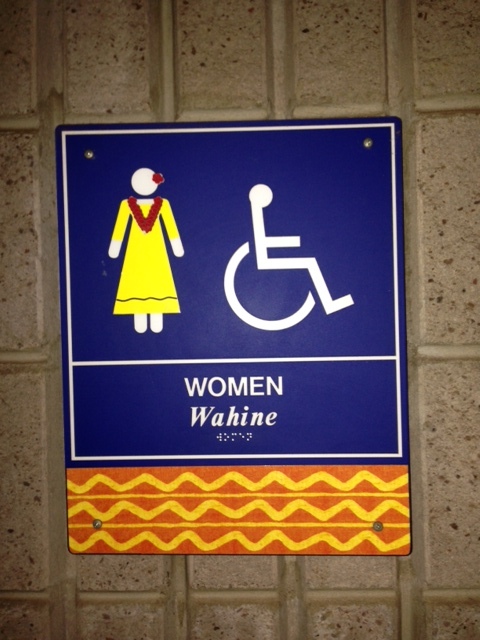 Bonus: Even the signs in the airports in Hawaii are charming. 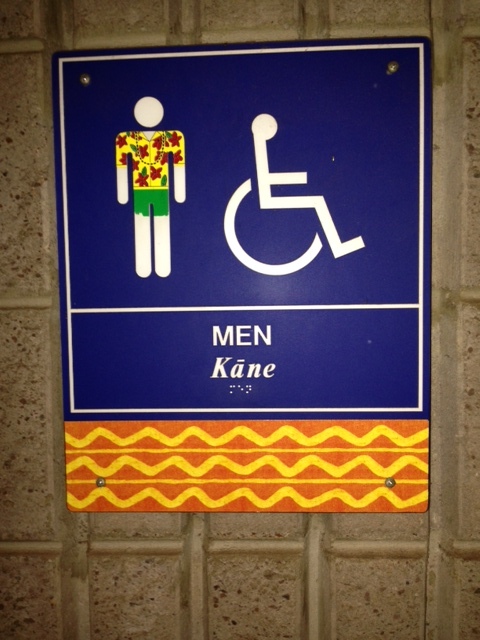 This entry was posted in Hawaii, Hawaiian beaches, Maui, Travel, United States, Upcountry Maui, West Maui and tagged Airline travel, Hawaii, Hawaiian Islands, Hawaiian travel, Maui, Travel and tourism, United States by alohajournal. Bookmark the permalink.